A Culture of Corruption takes the reader into the everyday world of the citizens of Africa’s most populous state as they encounter a society plagued by corruption. 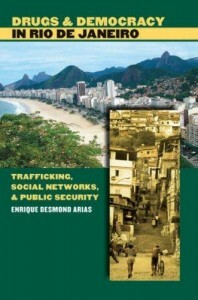 From police checkpoints that demand bribes from motorists in exchange for safe passage to Internet cafés where thousands of young Nigerians craft notorious email scam letters to local nongovernmental organizations (NGOs) created to siphon international donor dollars into individual hands, Smith offers a detailed portrait of the social organization of corruption. He examines not only the mechanisms and contexts that explain corruption (patron-clientism, for example), but also how the intense Nigerian discontent with corruption propels contemporary events and stimulates the collective cultural imagination. The book offers an interesting and sympathetic attempt at understanding the daily dilemmas confronted by average Nigerians as they struggle to get ahead—or just survive—in a state riddled with corruption. Smith’s discussion of the Bakassi Boys, a vigilante gang originally formed to combat violent street criminals, is of particular note. 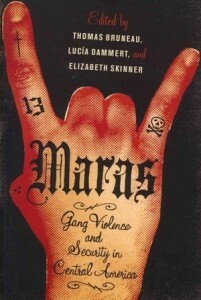 In its early phase, the gang engaged in what became known as “instant justice”: the apprehension and brutal public execution of alleged criminals, a practice typically supported by the local population. 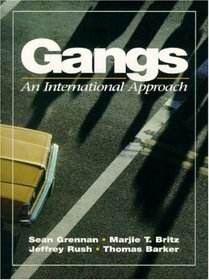 Over time, however, the gang degenerated into the very criminals they were supposed to be fighting. 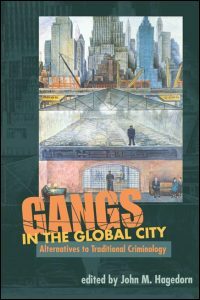 Smith explores why the population initially supported the Bakassi Boys, citing environmental reasons such as the insecurity of the state, police corruption, social class, and the belief that gang members were supernatural heroes fighting for justice. On the invitation of local politicians seeking to reduce crime rates, the Bakassi Boys expanded their operations to other cities. 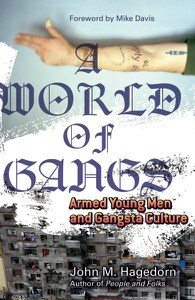 The group began to lose its popularity when it began abusing its power and killing critics of politicians, leading to accusations that the gang had been co-opted by corrupt state officials. The federal government eventually cracked down on the activities of the Bakassi Boys, but the idea of violent vigilantism remains popular in Nigeria today. Click on the images below to read reviews. 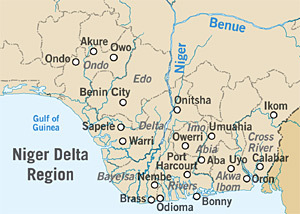 Members of the Kokodiagbene community of Delta State protested against the state government and Niger Delta Development Commission (NDCC) for persistently neglecting their development needs. Community leaders called existing programs aimed at delivering a stable water supply to the local population inadequate and asked for new solutions.1 Similar complaints have been ignored by Chevron and the Shell Petroleum Development Corporation (SPDC) in the past, and it remains to be seen what impact the new action will have on the community.